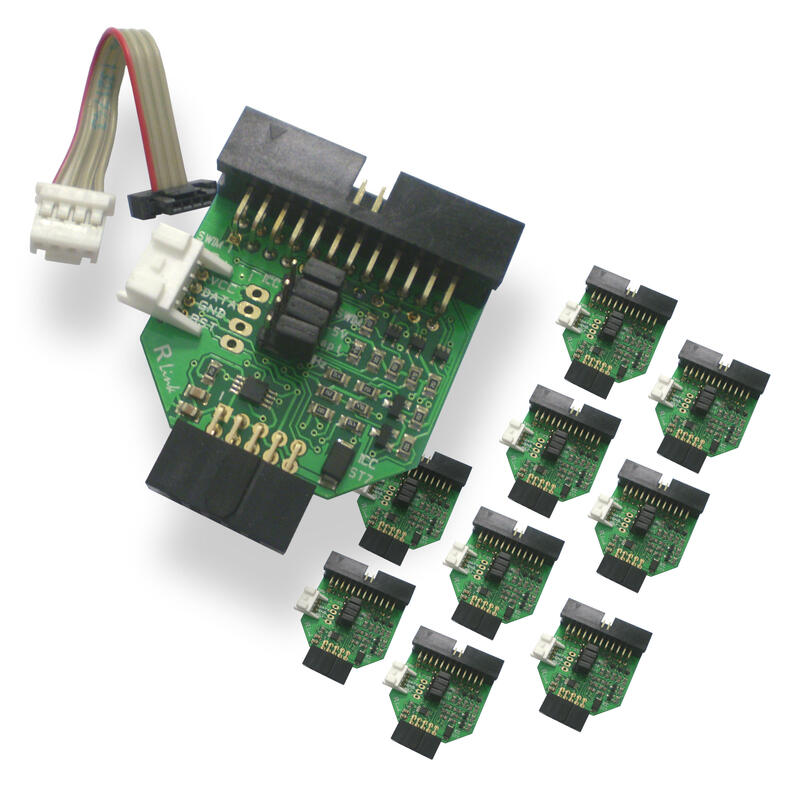 Set of 10 replacement 24-pin to 4-pin/10-pin adapters for connection of RLink to an application board for programming and debugging of STM8 microcontrollers via SWIM interface, or ST7 microcontrollers via ICC interface. ote: RLink-STD and RLink-PRO include this adapter. This order code is provided to allow users to order extra or replacement parts.